Word for Today: The greatest commandment! And the second is like unto it, Thou shalt love thy neighbour as thyself. 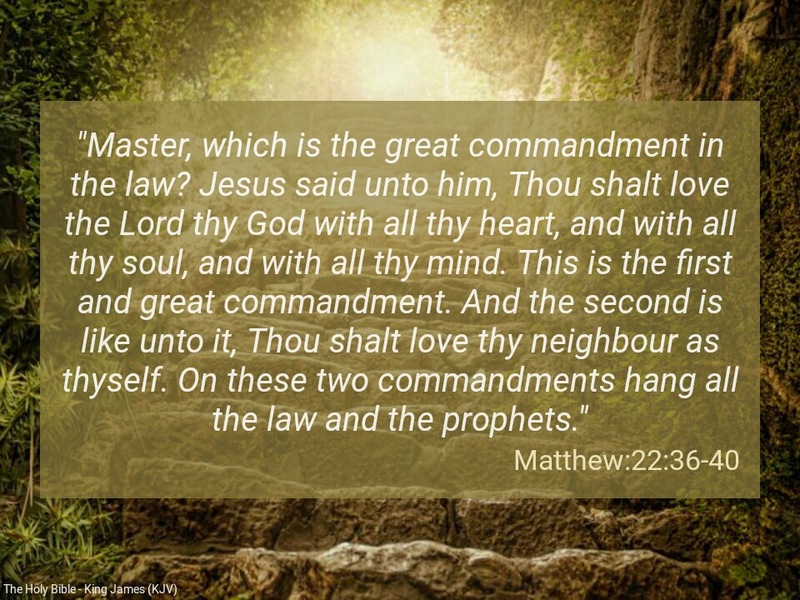 On these two commandments hang all the law and the prophets” (Matthew 22:36-40). In as much as we should not ignore the Ten Commandments, it is instructive to know that Jesus Christ in accordance with the grace, wisdom and power granted to Him by His Father, reviewed the whole law and prophets into two: love for God and love for man, as per our memory verses. “And, behold, there was a man which had his hand withered. And they asked him, saying, Is it lawful to heal on the sabbath days? that they might accuse him. And he said unto them, What man shall there be among you, that shall have one sheep, and if it fall into a pit on the sabbath day, will he not lay hold on it, and lift it out?How much then is a man better than a sheep? Wherefore it is lawful to do well on the sabbath days….” (Matthew 12:10-14). The Ten Commandments and the prophets are hinged on loving God in Christ Jesus, and loving man, no more, no less. Jesus is the fulfilment of the whole law( Matthew 5:17). Father, open thou my eyes that I may behold wondrous things out of thy law in Jesus mighty name. Amen. Previous Previous post: Word for Today: Blood of Jesus! Next Next post: Word for Today: Be sensitive to your thoughts & words.